After spending the early tumultuous weeks of her new daughter True’s life in Cleveland, where her baby daddy is based, Khloe has apparently headed back to LA. True was born in Cleveland, Ohio, on April 12. The first child for Khloe and the second for pro-basketballer Tristan Thompson. While it’s unclear whether Tristan accompanied the pair, what is clear is that Khloe seems happy to be back on familiar territory with her baby girl. She’s now got her sisters – fellow mamas Kim, Kourtney and Kylie, as well as non-mama Kendall – on tap. Momager and mum Kris Jenner – aka Lovey – is also close at hand. The KarJenner girls welcomed their sister and her bub home with celebratory cookies and balloons, and it’s obvious they’re thrilled that Khloe’s back in her immediate family’s fold. “Welcome home, Khloe and True,” one balloon read, making no mention of Tristan. “We love you, [from] Stormi and Kylie” another said. These amazing cookies were crafted by Winnipeg small business Scientific Sweets who said they were delighted to get an order from this famous family. “We couldn’t say no. It’s the Kardashians. How can you not do it?” fellow Scientific Sweets baker Mary Lou Vendivil laughed. How could you not, indeed!! It’s not just cookies Khlo has been showing off. 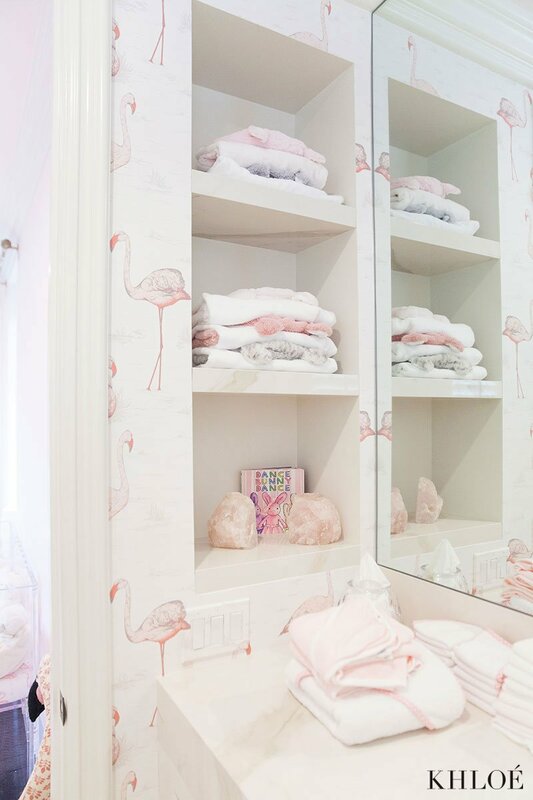 She’s also revealed how she’s decorated True’s nursery. 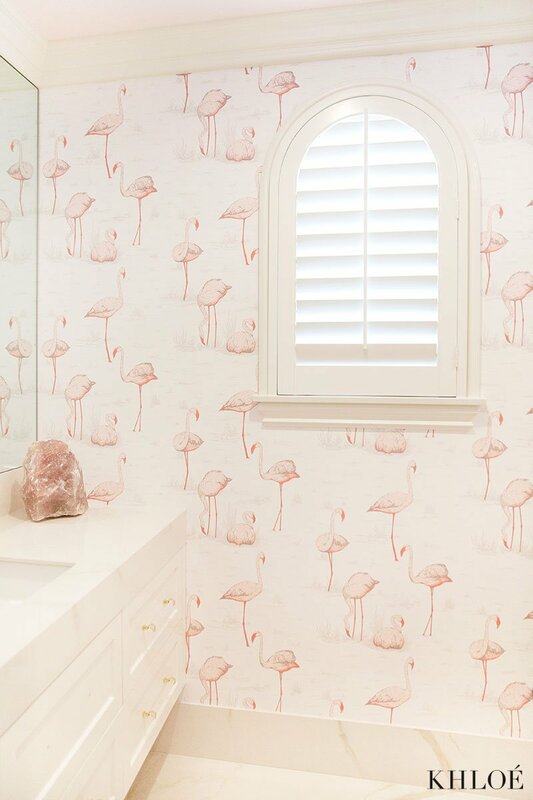 The flamingo wallpaper she chose caught the eye of many, and Khloe says she thinks True secretly chose it from the womb, with the little girl having much in common with this leggy pink bird. The wallpaper is by UK designers Cole and Son and comes in a bunch of different colourways – to suit every little skinny legged nipper! You can buy the colour scheme Khloe chose here.